The terms of business are accepted upon booking fee payment. 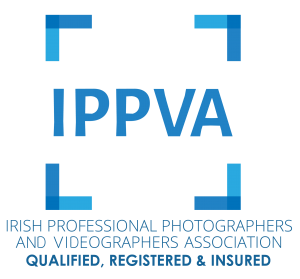 Client agrees to pay photographer a booking fee of €50, at the time of booking, to secure their appointment date and time. This is a non-refundable retainer fee that goes toward your session. A balance is due at the time of the session. The session fee covers the time and talent of photographer, basic retouching and creative editing of images, as determined by the photographer. Additional editing is available at additional expense to be determined by photographer. Additional prints or digital images will be available for purchase. If there are any costs/fees associated with the location the client has chosen for their session, you, the client, will be responsible for those fees. The photographer will not guarantee or arrange payment on any location. Creative fee covers travel within co. Dublin, Ireland. Any location outside of these limits will be subject to an additional charge of € 1/kilometer as part of the agreement. If an illness or situation prevents a photo session from taking place, client may reschedule their session at least 48 hours prior to their shoot without penalty. Should client fail to give 48 hours notice, or decide to completely cancel the shoot, the booking fee is forfeited and will not be refunded. Re-shoots are determined at the discretion of the photographer. Re-shoots and refunds will not be given for poor choices of clothing, make-up, hair or weather related issues, or by not following the recommendations of the photographer. Refunds on products are not available due them being bespoke products that are unable to be resold. Items can be reordered if they arrive damaged. Booking fees and session fees are non refundable but any products paid for but not yet ordered may be refunded if cancelled before the orders have gone to print. After this time no refunds will be given. In the unlikely event that Joanna Sieczkowska from Visible Moments Photography is unable to perform to the guidelines of this contract due to an injury, illness, act of God, act of terrorism, or other cause beyond the control of Visible Moments Photography, Visible Moments Photography will make every effort to secure a replacement. If the situation should occur and a suitable replacement is not found, responsibility and liability is limited to the return of all payments received for the photographic session. Images are edited at Visible Moments Photography’s discretion, and delivered images will not include all images shot. The photographer reserves the creative right to edit and release only those deemed creditable as professional in quality and within the photographer’s artistic standards. The private online gallery will be ready to view up to 2 weeks after photo session completed and the gallery link will be sent by e-mail to provided address. The online gallery will be available for two weeks (14 days including) after the release date. After the initial 14 days until the 6 months of archive holding an additional charge of 100€ will apply to re- open the gallery. The photographer reserves the right to refuse a re – opening. The charges are based on Visible Moments Photography’s pricing guide. This price list is adjusted periodically and future orders shall be charged at the prices in effect at the time when the order is placed. All payments are due in full. Orders will not be processed until payment in full is received. Payment for orders is final & no refunds will be given. The supply of products and services are provided by the Photographer on a best endeavours basis. The Photographer will not be liable for delays that are beyond hers reasonable control. The Photographer shall use reasonable endeavours to meet agreed deadlines where applicable. The Photographer shall not be liable for any delays in meeting any of hers obligations which were due to causes beyond hers reasonable control including but not limited to; postage/courier/lab delays, war/acts of terrorism, riots, government legislation, industrial action, adverse weather conditions, acts of God, floods, fire, loss or damage in transit etc. Photographer is not responsible for the damage of products after delivery to client. The Photographer will make reasonable endeavours to ensure that items delivered by a third party are suitably packaged for transit. The Photographer cannot accept liability for loss or damage caused by a third party. For valuable items, the Client should take out suitable insurance cover. Upon written request, the Photographer will provide suitable loss/damage cover for an additional charge. Client assumes all responsibility for the safety of all portraits upon receipt. All print and presentation sizes quoted are approximate and subject to change at the discretion of the Photographer(s) and may be subject to slight variation. Whilst every effort will be made, the Photographer(s) cannot guarantee exact colour matching and is not held responsible for any colour variations which may occur due to light and location variations.Client is aware that colour dyes in photography may fade or discolour over time due to the inherent qualities of the dyes, and Client releases the Photographer from any liability for any claims whatsoever based upon fading or discolouration due to such inherent qualities.Due to limitations of computer monitors and variations of computer operating systems, it is understood that images viewed via this method may appear differently according to the specification of each monitor/computer and that prints may not match images rendered on any particular computer monitor. For all images/data supplied to the Client in electronic format (including but not limited to electronic mail, CD’s/DVD’s etc), The Photographer will endeavour to ensure that the data sent is not corrupt and is virus-free by scanning the data with anti virus software before despatch. The Photographer cannot be held responsible for any damage, disruption and/or loss of any kind that the said media may cause to the Clients computer or data. The Client agrees to take similar steps to ensure that data sent to the Photographer is not corrupt and/or virus-free. Where images are made available for use on a CD/DVD player by disc, reasonable steps are taken to ensure compatibility, but you acknowledge that discs may not play on all CD/DVD players including those within computers. Visible Moments Photography takes no responsibility for the quality of printing and products made outside and by Visible Moments Photography’s lab. Visible Moments Photography retains all copyrights to all images created during client’s session. A print release may be purchased with digital files to print portraits for personal use up to designated size listed on print release. The print release does not allow publication of your portraits (i.e. entering in contests), selling or altering of your images without the photographer’s written permission. It is illegal to copy, scan, download, print, share, alter, or otherwise steal any image created by Visible Moments Photography during client’s photo session. This applies to “sneak peek” images, images posted in an on-line proofing gallery, blog, Facebook, or hard copy images. If client steals images via any method listed above, or any other method, client will be invoiced for the cost of EACH digital image client has stolen, at photographer’s current price per digital file. Note from photographer: I work very hard to create images that reflect you and your family, while keeping in line with my artistic vision and creativity. I know you will want to share them and include a sneak-peek for that very reason. However, I ask that you simply link back to my blog/website/facebook page instead of right-clicking, saving, and sharing the image via your own page. I hope that you will respect not only my hard work, but the time, money, and dedication that I have put into training and equipment to capture these images for you. Please do not steal them. Session starts at the agreed upon time. It is strongly encouraged that client arrives 15 minutes prior to the start of session. This allows for any last-minute feeding, changing, and relaxing before session begins. Please do not bring any children not being photographed to the session. Use of phone and video cameras other than that of the Photographer is prohibited during the session.